If you’re new to the blog, you’ll inevitably notice a ton of resources, tools, insights, and case studies that universities of all shapes and sizes use to start developing their campus-wide mobile strategy. So much so, in fact, that you would probably need to dedicate a full 40-hour work week just to start and chip away at it. 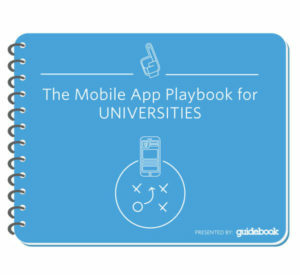 The Mobile App Playbook for Universities. 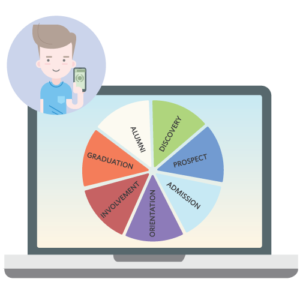 Best practices of mobile implementation for universities, specific features and capabilities to look out for when evaluating your options, and insights from universities who have already taken the plunge. Case studies from schools like North Carolina State University, the University of Oregon, and the University of Alabama in Huntsville. 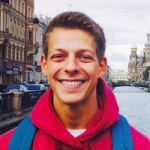 Hear other universities’ experiences with implementing mobile for a number of different uses. Whether you’re looking for an orientation, career services, residence life or alumni app (the list goes on…), we’ve helped hundreds of other schools get there before. Hearing their insights makes you that much more prepared for when it’s your turn. Staying Relevant: The Relationship between Student Affairs and Mobile Technology. A thought-provoking webinar between higher ed scholar Dr. Paul Gordon Brown and Account Manager Chris Trudell. Together they discuss the effects of digitalization on the student lifecycle. In an age where students check their phones an average of over 70 times a daily, higher ed administrators face the need to rethink their communication strategies and reach students where they already are– their phones. Check it out! You don’t have to spend hours searching the internet (or even the Guidebook blog) to find the resources and help you need to create your mobile strategy. With this success kit, you’ll learn where you and your university can get ahead in the ever-evolving technological landscape. You’ll gain from the experiences of universities like yours in incorporating mobile on campus. And you’ll have access to some great research on how mobile technology fits into the modern student lifecycle. What are you waiting for? It’s free! Download the Success Kit for Higher Education. And be sure to share these resources with others on campus, too. They’ll thank you.